Here in Argentina is the rainy season. 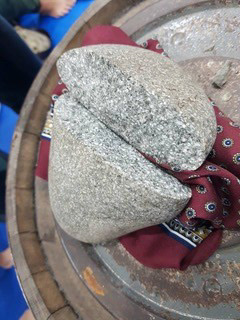 On April 27th., the day before the “Oyama Sosai Cup”, there was a storm of ice stones in the city of La Plata. 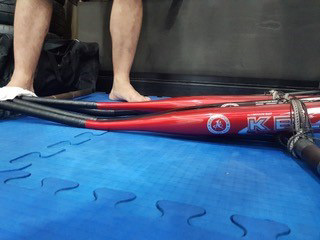 It broke the roof of Keiko Dojo, where we would hold the Championship and several other places. We were at a crossroads. Many of the competitors and instructors had already arrived from far away and others were already coming towards the city. We did not have where to hold the championship. There were only a few hours left. 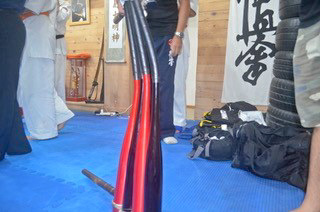 It was raining inside the Dojo and we could not find any Gym that was not also damaged to perform the event there. 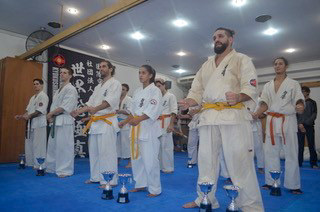 In the end, we decided to move to Buenos Aires City, about 60km from the city of La Plata to carry out the championship in Shoshin Dojo. We were convinced that the best tribute to Sosai was to overcome that setback and not let us win. Always rings in my head the words: “seven times you fall, eight you get up”. We all had to resign expectations and settle for the event, but despite all the obstacles the championship was a success. 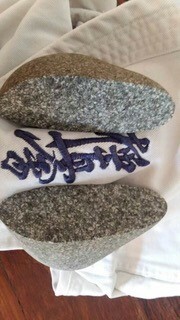 As I had promised a few weeks ago, we made the Shiwari of 4 baseball bats of steel and granite stones. I send you YouTube links where we upload the videos. I hope you like it. I really wish this was a good tribute to our beloved Oyama Sosai, and to you, my Sensei. 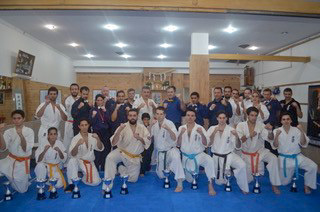 All my thanks to you, Hanshi, for giving me the opportunity to be part of this wonderful world that is Oishi Dojo and the Kyokushin.